Lock in a great price for The Privilege Hotel Ezra Royal Beach – rated 8.4 by recent guests! Private villa w individual pool, surrounded by palms etc. spacious, 2 rooms w floor to ceiling windows. Breakfast delivered daily to private veranda with table/chairs. Central pool and bar. Staff very helpful. Hotel provides chaise & umbrellas on beach; Easy stroll to restaurants on the beach & to shopping, dining, nitelife in the town. 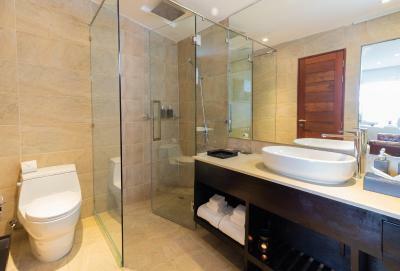 Easy access by taxi to wonderful spas & upscale restaurants with views of Sea. Great stay! Beach area very private and romantic. This hotel is very calm and peaceful place. Staff very friendly and helpful. Room was amazing especially bed room very nice and clean. Love it!! The hotel was really calm and peaceful and we felt so relaxing. We appreciated the things the staff has done for us indeed. It was a great time! A last minute choice after a trip to Koh Tao and it was worth it. 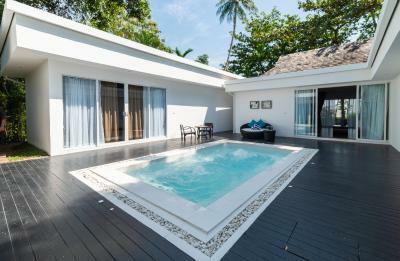 Loved the pool villa and long walks on the amazing beach. Very very comfortable bed, I sleep so well, It was a good good night. Highly recommened for spend the time on relaxing holiday. The room is spacious and very clean. The staff are also very nice. Breakfast was very complete and staff ready to help. The rooms were good size and the beds extremely comfortable. Bedding and toiletries were very complete as well. Ae, the assistant manager could not have been more helpful. Thanks Ae!! 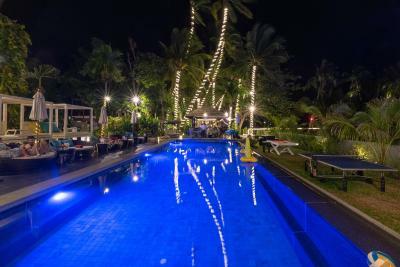 The Privilege Hotel Ezra Royal Beach This rating is a reflection of how the property compares to the industry standard when it comes to price, facilities and services available. It's based on a self-evaluation by the property. Use this rating to help choose your stay! 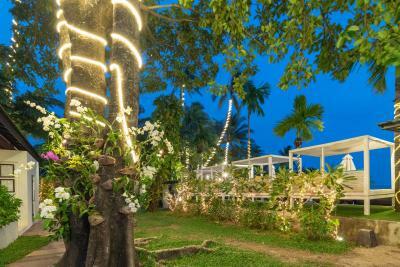 One of our top picks in Lamai.Set in a secluded beachfront location along the southeast coast of Koh Samui, The Privilege Hotel Ezra Royal Beach offers luxurious accommodations surrounded by nature. 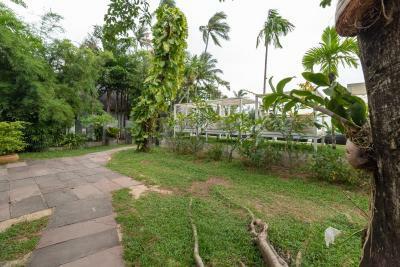 The villas are surrounded by gardens and have a private decking area. 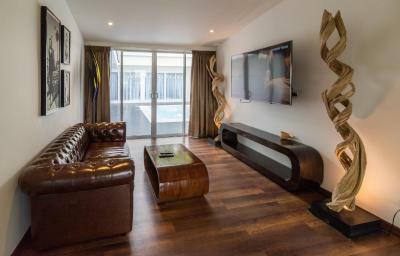 All of the living areas include a flat screen satellite TV and a large sofa. 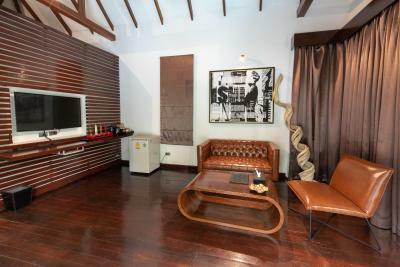 Each villa also includes a mini-bar and tea and coffee making facilities. 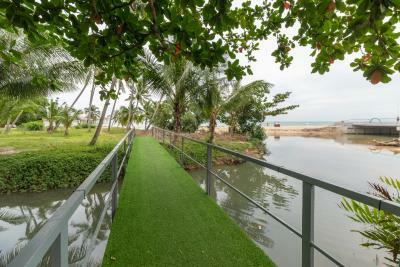 With it's beachfront location, it offers direct beach access where guests can enjoy romantic walks on the sand while taking in views of the Gulf of Thailand. 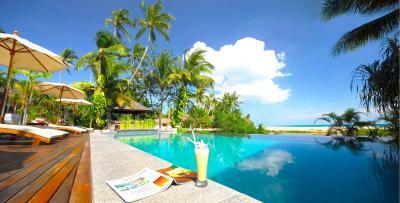 The Privilege Hotel Ezra Royal Beach is a 20 minutes’ drive away from Koh Samui International Airport. 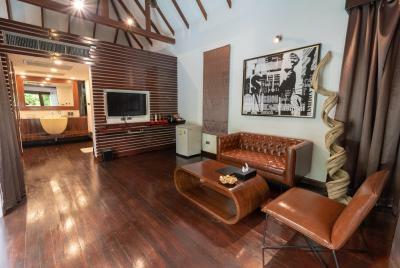 뀐 Located in the top-rated area in Lamai, this property has an excellent location score of 8.2! When would you like to stay at The Privilege Hotel Ezra Royal Beach? Offering more than 100-sqm of indoor and outdoor living space, the villa is set amid a tropical jungle and comes with a pool and terrace. 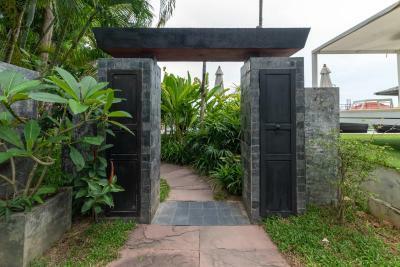 The expansive villa offers more than 150-sqm of living space and is composed of a living room, dining room, garden, private pool and an outdoor seating area. Offering more than 50-sqm of indoor and outdoor living space, the villa comes with a terrace surrounded by a private garden. Please note that this room type cannot accommodate extra beds. 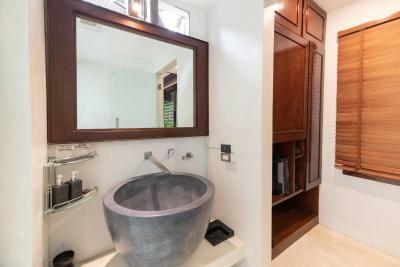 Offering much privacy with more than 110-sqm of living space, the villa comes with a fully equipped bathroom fitted with a large bathtub overlooking the ocean. 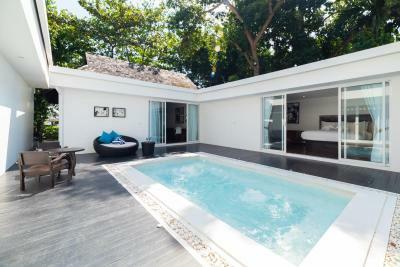 It also has it's own private pool, a large garden and terrace. Composed of 5 bedrooms with over 300-sqm of living space, the villa offers total privacy and features stunning sea views. This villa has a balcony, private pool and mini-bar. This villa features a balcony, private pool and flat-screen TV. This double room has a balcony, garden view and mini-bar. This double room features a balcony, sofa and dining area. This double room has a balcony, bathrobe and dining area. 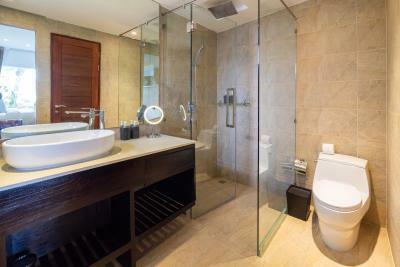 House Rules The Privilege Hotel Ezra Royal Beach takes special requests – add in the next step! All children under 12 years are charged THB 1500 per night for extra beds. Any additional older children or adults are charged THB 1500 per night for extra beds. The Privilege Hotel Ezra Royal Beach accepts these cards and reserves the right to temporarily hold an amount prior to arrival. Please be informed that the property is undergoing construction works of a new room type until further notice. Construction work hours are daily between 11:00 - 18:00 hrs. Guests may experience noise disturbances during their stay. The pool was a little green and the view to the beach wasn’t very nice. The staff did not speak very good English and kept postponing our massage appointments. Also it would have been nice if they could have been a bit more proactive in providing information about the island and available activities. 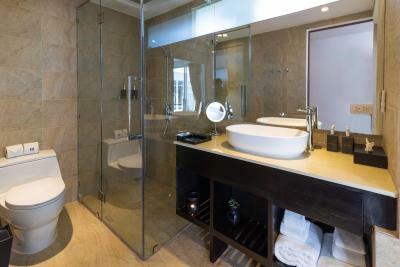 The garden suite would have benefitted from some bed side lamps, and the roof of the shower having the leaves swept off. The rooms were very comfortable, and the breakfast bagels were great. 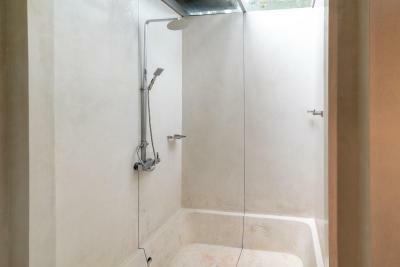 The shower was massive with a glass roof which was cool. The lobby and garden areas are beautiful, with a fantastic Sunday night market right on your door. The staff were very friendly. Excelent room, amazing pools, the friendliest staff we have ever meet. Very good beaches all around, extremely safe to be and to walk around, very good restaurants and bars near by. Once you arrive you will feel like you are part of the family. The only bad thing was that water in shower was either cool or very hot. Everything was great - room, pool, place, breakfast! Everything was absolutely wonderful. Top class from huge tv, superb comfy bed, excellent room and shower room. Even had ground coffee and cafetiere! Staff couldn’t do enough for you! Brilliant service and excellent facilities - cannot fault this hotel. Would recommend it to all. Very stylish and beatiful place to stay. Located by the beach. Great breakfest - great everything! Location at the beach, small shared pool at the cabins, larger in front of bar overlooking the beach. Easy parking in the street (except for sunday as of streetmarket). No sound issues as cabins are behind reception away feom the street! Rooms were spotless. Bed was so confortable. A solfest bed we slept in during our month in Thailand. 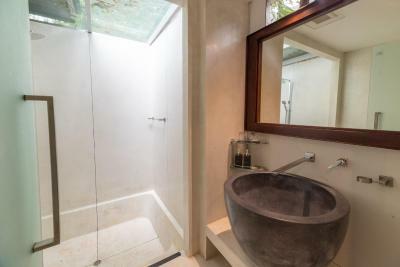 Location is good, beach front and private pool. Public free gym on beach (can see from hotel grounds) Pool is nice. Staff were extremely nice and helpful. Always a big smiling "Hello" whenever we came and went. Smart tv for Netflix also which was a bonus. Would recommend. It was in a good location, everything was just a 5 minute walk away and it had alot of good gym's nearby with a community gym right beside it on the beach. 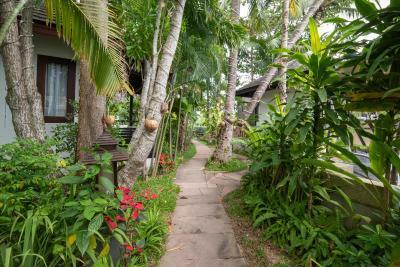 The hotel was the best place I stayed in Ko Samui- will definitely stay there again! Comfortable bed, friendly service, happy hour for drinks etc. Highly recommended it. We struggled a lot with mosquitos. The hotel is is right next to a stagnant stretch of water and the rooms are surrounded in gardens which attracts them. The breakfast wasn’t great, the idea of having it in your room is nice but it arrives cold. The choice wasn’t wonderful but this is due to the hotel not having a kitchen. They order food in for by the pool and make basic eggs for breakfast. Be careful not to confuse the hotel with the other sites they have as the names are very similar. We arrived expecting a completely different room, but what we had was also nice. The pool out the front is mainly a plunge pool and due to mosquitos we couldn’t use it much. The pool bar was very expensive also. More information in the room would have been nice, most hotels I visit have a booklet stating breakfast times, nearest ATMs , restaurants etc. The room was very spacious and nicely decorated. The pool was beautiful and the beds to relax on were perfect. 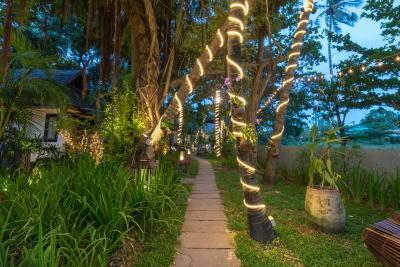 The sea view is idyllic and the pathways and trees are lit up at night which looks beautiful. Welcome drinks were a lovely touch. The bed was incredibly comfortable and the location is quiet and peaceful.